Do you know what's a durian? I'm sure many of you do, especially if you're living in Malaysia or Singapore. Famous for its sweet yellowy flesh and strong smell that some may not seemed to like, it has been given the title the "King of Fruits" by many. Of course, when you're all thorny and can be smelled from a mile away, no one will dare not to call you a king. So i'm sure that as a Malaysian or a Singaporean (so sorry if you happen to be dropping here from somewhere else), you'll be quite familiar with the durian. But alas, like with everything in life, the King of Fruits itself is not perfect. My question is have you seen a failed durian before? 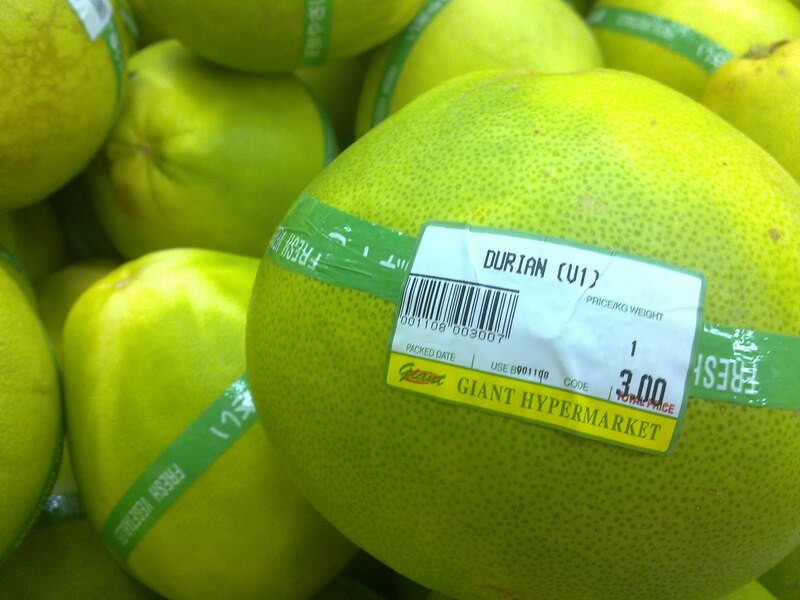 A durian that does not befit the title of King of Fruits? I have. Last week in a shopping center. If you have not noticed (or you happen not to see any durians before), these durians that i saw for sale in the Giant hypermarket were distinctively different from the usual durian that i came to know throughout my years of life. My family, for one, loves durian and come every durian season, my house will be filled with a constant aroma of the King. Which is why i can say i am very familiar with the durian and those durian at the above pictures were no durian at all! They lack the thorns, the smell and even the color looks different. How can a thorn-less and smell-less green ball be called the King of Fruits? Curious, i went to investigate. According to a staff that i managed to interviewed, she said that the above durians were part of a genetic modification program done by the Singapore government in an effort to reduce foreigners' complains about the durian. To put it in her words, "Recently there have been a lot of complains coming from the white people who are working here in Singapore. Aiya, as you know lah, these ang mohs cannot stand the the smell of the durian, which is why the government have to come up with a better measure to stop the complains. 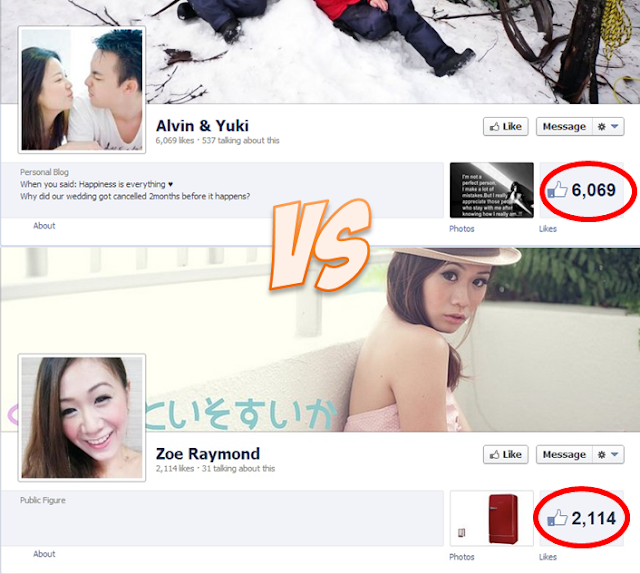 So they change the smell loh! 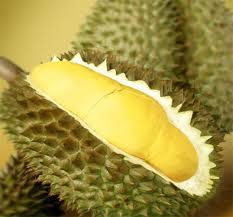 No smell durian, no complain!" "How about the thorns then? ", i continued my inquiry. "Surely the foreigners would not complain about the thorns, right? In her best Singlish accent, the female staff continued her story, "Aiyah, thorns very dangerous ma! Always can hurt people! Not good. So the government decided that since it can throw the smell away, why not throw the thorns away too! Less money wasted on health care, right?". I must say i was very amazed by the explanation given by the staff. I've heard a lot about what genetic engineering can do to fruits like making it more pests resistant and more nutritious, but so far i have yet to heard about a genetic modification that can change the smell and also the looks of a particular fruit. Technology has come a long way indeed. Who knows? 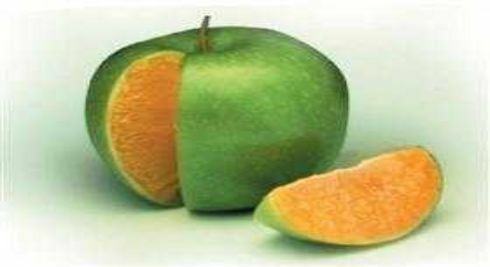 Maybe in the near future you could be eating a hybrid of an apple and orange! Until the the manager in charge, who managed to overhear our conversation interrupted my thoughts. 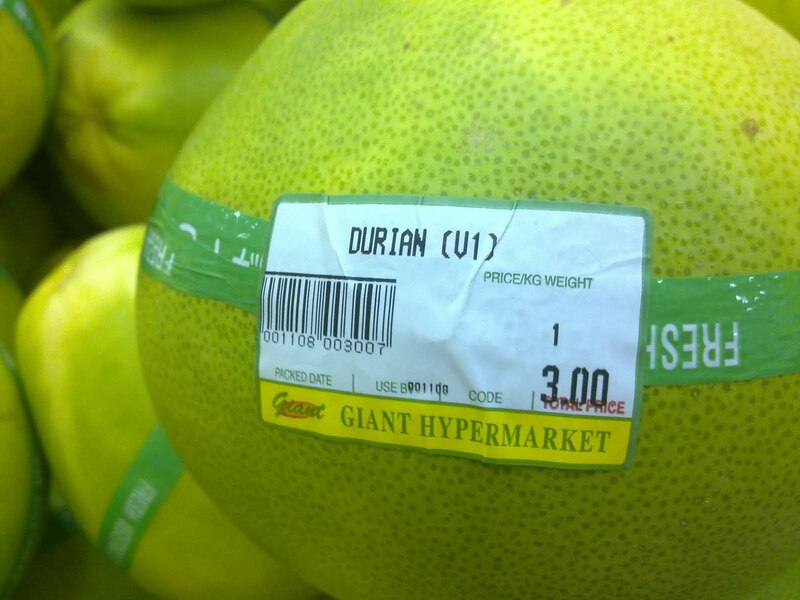 "Hey Auntie, don't tell me that you wrongly labeled the durians again?!" Dude, you've been had. LOL. 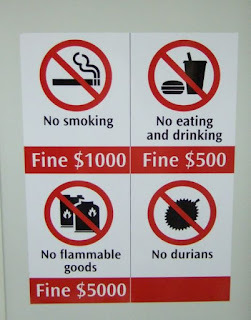 Those are NOT durians. Those are what we call here in the Philippines as "Baongon", better known to English-speakers as Pomelo. 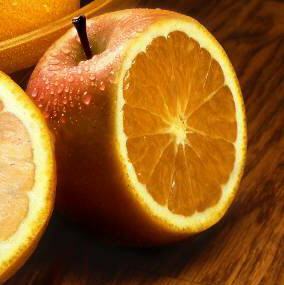 Ironically, it IS a citrus.